The Fluke 792A is an ultra-high accuracy AC/DC Thermal Transfer Standard, designed to meet the most demanding ac traceability requirements. Using the patented Fluke RMS sensor and thin film range resistors, the 792A offers an extraordinary transfer accuracy, with total uncertainties of as low as ±10 ppm (±5 ppm from the National Institute of Standards and Technology ¾ NIST). The 792A also provides a wide voltage range of 2 mV to 1000V, and a wide frequency range of 10 Hz to 1 MHz. Tento výrobok sa už nedodáva, náhrada je Fluke 5790B - merací normál striedavého signálu. The Fluke solid-state RMS sensor also provides the 792A with remarkable temperature stability and fast settling time. Now you can be ready to make measurements in 30 seconds instead of 30 minutes. To simplify the transfer process, the 792A"s 2V output permits you to use a high-resolution digital multimeter rather than a null meter. The Fluke 792A is designed to support the calibration of the most accurate ac instruments in your standards lab workload, including calibrators like the Fluke 5700A/5720A, voltmeters like the Fluke 8506A or the HP 3458A, and ac measurement standards like the Fluke 5790A. The 792A consists of four units. The Transfer Unit is the main analog component of the 792A for the 20 mV to 220V ranges. Stainless Steel Type-N connectors assure low signal loss and high measurement repeatability. The separate Power Pack unit permits the Transfer Unit and 1000V Range Resistor to be shipped independently for calibration. The 1000V Range Resistor isolates the heat generated at high voltages outside the main Transfer Unit. The Range Resistor has a low temperature coefficient, stabilizes quickly and exhibits small ac/dc differences. The Transfer Switch provides for switching between the ac and dc inputs. Each 792A is shipped from the factory traceable to national standards. Each 792A also includes a table of correction factors and uncertainties for measured ac/dc differences. 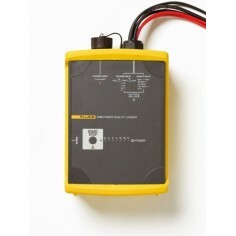 Fluke A40 and A40A support ac current transfer measurements. An optional 792A-7004 Adapter is required. At the heart of the Fluke 792A is the patented Solid-State Thermal RMS sensor, which has been proven in a variety of Fluke products since 1979. Its output voltage is 2V, compared to the 7 to 10 mV output of traditional thermocouples. That means the 792A exhibits excellent signal-to-noise characteristics and minimal reversal errors as low as 10 ppm relative to input voltage. The 2V output also permits you to make measurements with high resolution so you can use a digital voltmeter rather than a null meter to make transfers. Not only are measurements easier to make, they are more precise as well. And because it is small, the RMS Sensor has very low thermal mass, so the 792A stabilizes in as little as 30 seconds and can be used over a wide temperature range of 11° C to 35° C. The RMS Sensor is designed to be rugged and reliable. Each is built to exacting standards by the Fluke Microelectronics Operation to maintain quality and consistency, part after part. 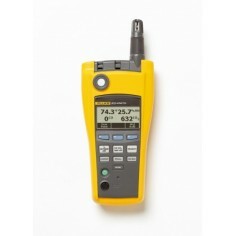 Each 792A is shipped from Fluke with a certificate of calibration accredited by DKD and NVLAP. Included is a table of correction factors and uncertainties for measured ac/dc differences. 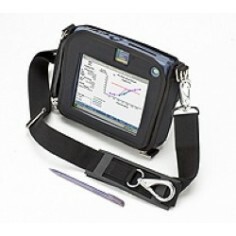 To support the traceability requirements for an instrument as accurate as the 792A, the Fluke Metrology Department developed a unique system to transfer national laboratory values to the 792A production environment. This system is based on proven techniques developed to maintain a 732A direct voltage standard to within a few parts in 100 million. Statistical treatment of data resulting from successive intercomparisons of virtually identical 792As is used to minimize transfer uncertainties. To achieve even higher performance, you can have the transfer uncertainties of your 792A assigned directly by any national standards organization. 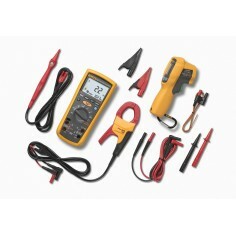 Periodic calibration and recertification is available from Fluke. This service repeats the original calibration procedure. A new table of correction factors and uncertainties for measured ac/dc differences is returned with your instrument. Order 792A-000.